Non-drop needles or not, all cut Christmas trees die sooner or later. Come January they’re either in a sorry, naked state at the bottom of the garden with most of the needles somewhere in your lounge. 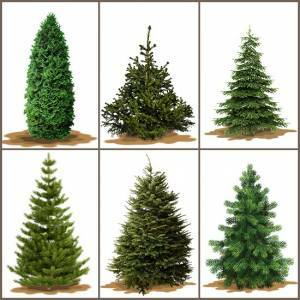 The traditional cut Christmas tree in Britain has been the Norway spruce for many years (Picea abies), which has short, bright green, pointed needles that drop quickly. In recent years, however, sales of “non-drop” varieties, such as the conical Nordman fir (Abies nordmanniana); Fraser fir (Abies fraseri) which has soft, wide and flat dark green needles; and blue spruce (Picea pungens), with glaucous or silver-blue foliage, have overtaken the Norway spruce. 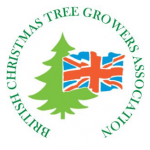 Provided care is taken in looking after the tree it should survive over four weeks, according to the British Christmas Tree Growers Association. Here’s our guide to all the different types of tree and tips on how to make yours last. This is the traditional British Christmas tree which has been popular since Victorian times. The bright green Norway Spruce has a lovely scent but quickly drops its dense, spiky needles, so if you’re keen on this variety, wait until later in December and make sure you water it regularly. Increasingly popular in Britain, the Nordmann fir is now Britain’s biggest selling Christmas tree. It’s slightly more expensive than a Norway spruce and has little fragrance however, it crucially retains its needles for longer. The trees, which were originally found in south Russia, have a reliably symmetrical shape and dark green broad needles. The foliage is soft and glossy, which make it child-friendly. The needles of this tree have a lovely silver-blue colour, though they are rather prickly. The tree holds its needles well and they generally have a good symmetrical form. It’s not dissimilar in shape to the Norway spruce, but popular American fir the Fraser doesn’t drop its needles as quickly. It also has a more narrow base – making it ideal for tight spaces. It’s now the best selling Christmas tree in the US, and also has a lovely, aromatic fragrance. The Obama family are pictured taking delivery one for the White House in 2012. Similar to the Norway spruce, but with an attractive blue underside to the needles. These trees are quite slender, so are suited to smaller homes. They’re very popular in central Europe. Very popular in the US since the 1920s, the Douglas fir has soft, dark green or blue green needles. The tree is popular for its good needle retention and a lovely citrus fragrance. Native to the US, this tree’s straight stems were supposedly once used by Native Americans as the central pole for their wigwams. It’s a bushy tree with yellowy-green needles and is very good for needle retention. This fir has attractive grey-green needles that tilt upwards and very strong branches, so is a good choice for hanging heavy decorations on. They are native of the forests of Washington and Oregon and were introduced into Britain in 1830. They’re hard to find in the UK and more expensive, although their needle retention is among the best. Sightly less common, the Scots pine is a native tree with bright, blue-green foliage and a lovely fragrance. The needles are quite sharp. Excellent needles retention as they don’t fall, even when dry.